While browsing my computer recently I noticed that I have not yet posted these photos (apart from the one in my blog header) which were taken a number of months ago. This is what I wore when I was photographed for the ‘Street Style’ section of Her Fashion Box it was a really exciting experience and it introduced me to their lovely website.I was surprised that the photographers from the above-mentioned website were even in my area; it was certainly not what I expected while merely walking up the road to buy groceries. It certainly added a lot to my day. Soon it will be too warm to wear this outfit. This is a similar cardigan to the one which I have in black that I posted here and here. 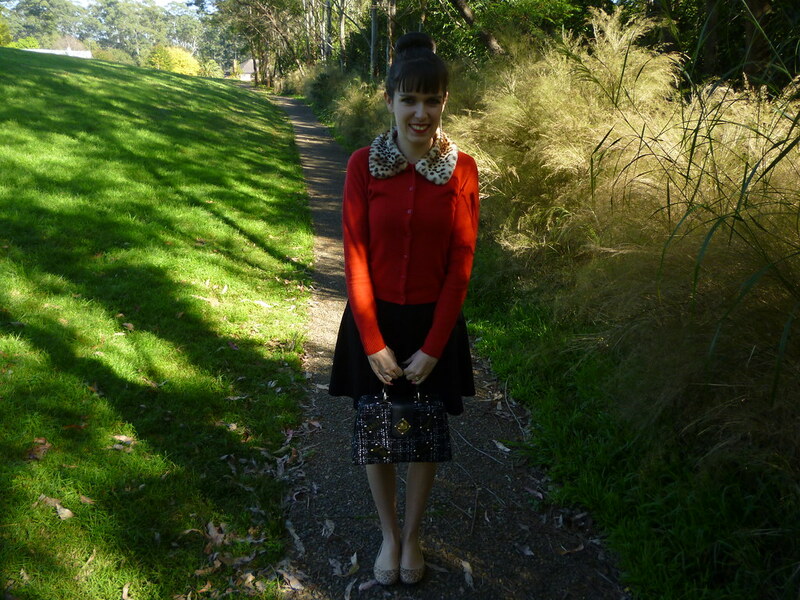 I’d like to style it in a similar manner to the outfit I posted which included the black version of the cardigan here. It’s also a great opportunity to match with my leopard print flats. I love leopard print and I’ve had these shoes for many years but I often don’t know what to wear them with. 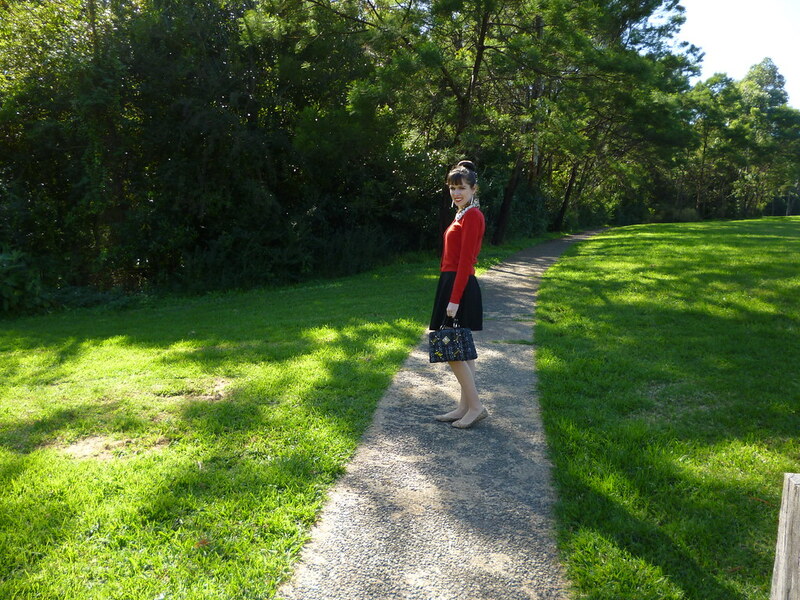 My reliable black skirt and ‘Paris’ inspired bag seemed like an obvious and beneficial addition to the outfit. Wishing you a wonderful weekend. 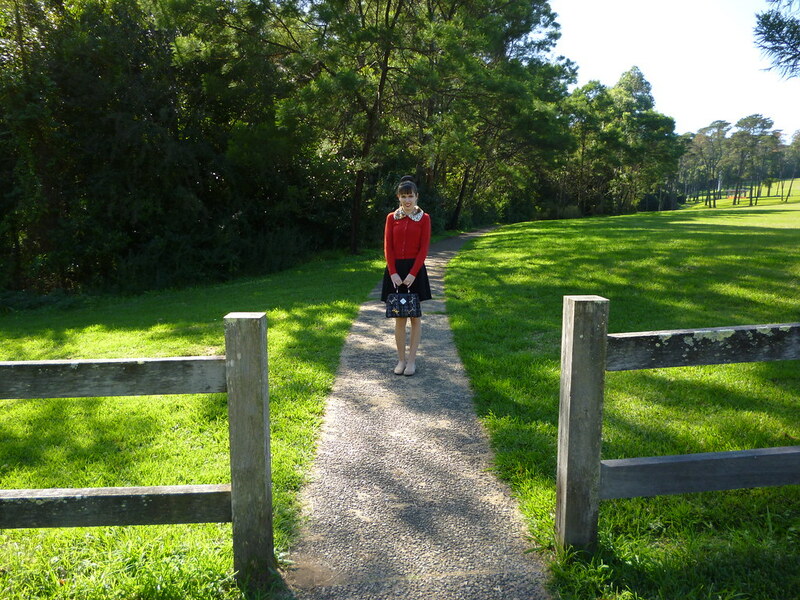 This entry was posted in Dangerfield, Forever New, Outfits, Valleygirl. Bookmark the permalink. 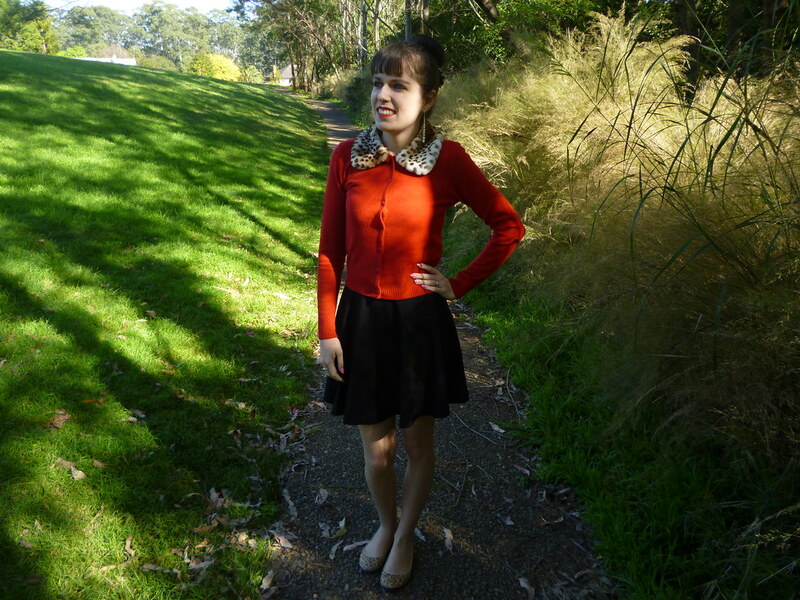 This cardigan is so stunning, I love the collar so much! Really like your hair in these photos, too, as always! 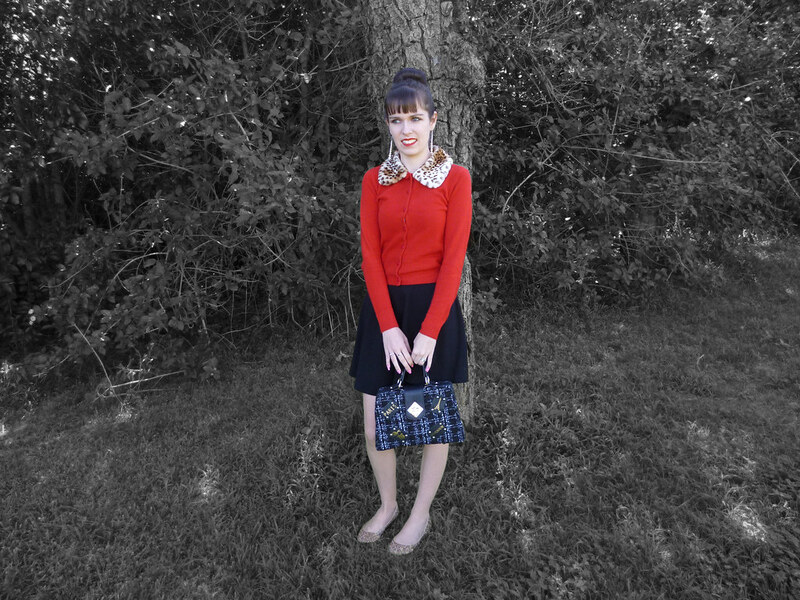 What a classically pretty outfit! That cardigan is really fabulous! love the collar on the sweater!! i love that colour combo. Stopping by to wish you a happy Oct my lovely friend! Aww, that sweater is so regal looking! Again, such a stylish outfit. I like the touches of animal print – very classy! 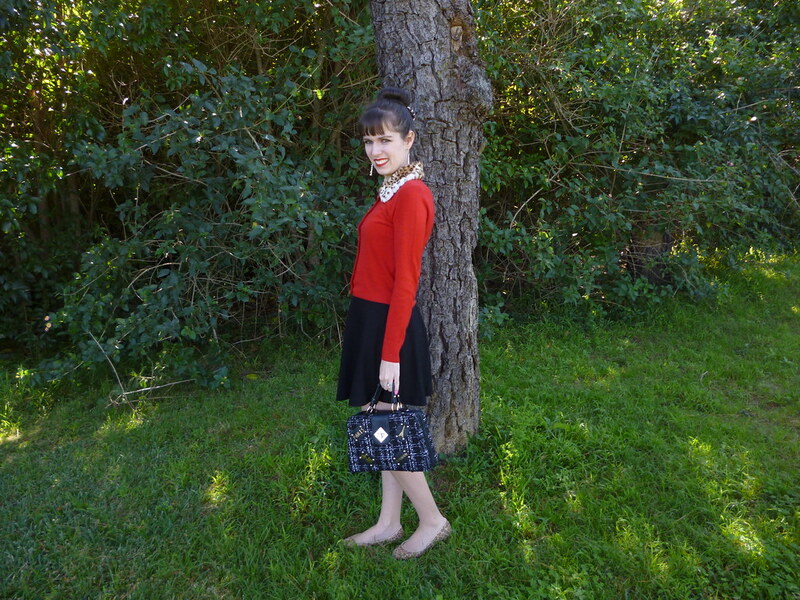 I love the red cardigan! So pretty! as always: i love your cardigan! so cute, so meow! 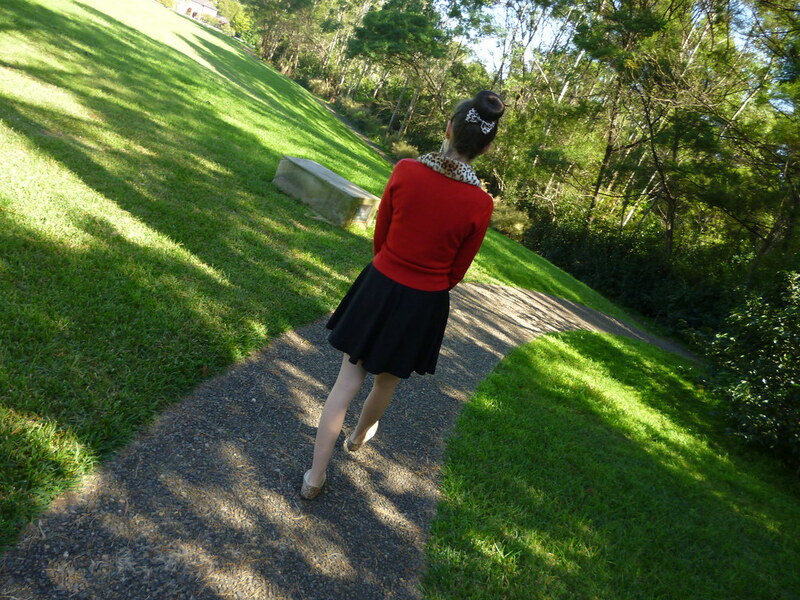 Your cardigan with the leopard colar is so unique 🙂 and I'm in love with your skater skirt!